The Mumbai monsoon has arrived, bringing with it the anticipated chaos and confusion. The BMC’s pompous pronouncement that the city had been readied for the rains - a claim which no one believed - fell flat and was washed away by the very first showers. As the rain gods merrily drenched the city, the roads turned into rivers, causing the mess and the mayhem that every monsoon ushers in. Like thousands of other commuters, I too was caught up in one of those frustrating traffic jams at Parel. The area all around resembled a water-park, with dozens of sprightly kids having a blast in the water, which reached up to their waist. The BMC staff was at work too – I guess emergencies force them into action. They had taken off the manhole covers and were coaxing the water down the drains, desperately trying to rush it away into the sea. Looking at the commotion all around, I was reminded of the fact that Mumbai constantly has its water woes. While through most of the year we struggle with water shortage and the resulting water cuts, during the monsoon we just don’t know how to cope with the water that inundates us. In this season of plenty, we literally drive the water down the drain – what a waste! Well, we often talk about urban rainwater harvesting, but rarely get down to doing anything about it. The BMC has made rainwater harvesting mandatory for new building projects since a decade, but I seriously doubt this norm is being followed. I guess one reason why urban rainwater harvesting isn't popular, is because we believe that it is too costly and complex. Well, there are actually some very simple measures that can be adopted. For example, thanks to the advice given by Ajit Gokhale, an expert in this field, we ‘punctured’ the entire drain that runs around our Matunga campus. Essentially, this consists in digging pits at intervals of 10 feet all through the drain, which allows the water to percolate into the ground. There are several such simple yet effective techniques, that can be used to harvest rainwater in the urban context. 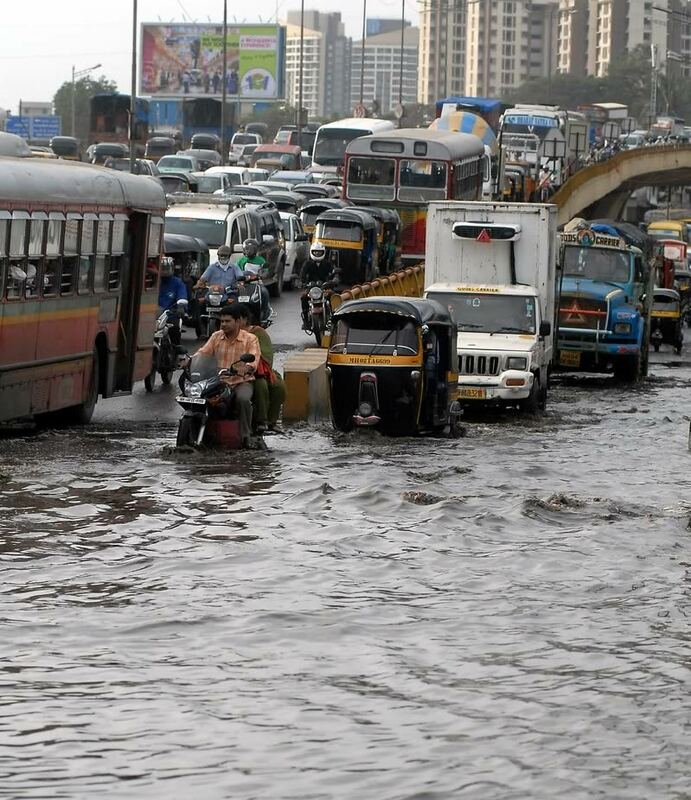 We Mumbaikars claim to be smart... so why aren't we making smart use of all the rainwater that we are blessed with?